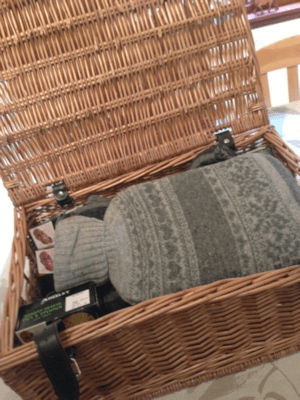 A huge thank you to Ainsley Harriott for the lovely Winter Warmer hamper that arrived at the Scottish Mum Blog household for review. The pack was just what we need up in the cold in the North East of Scotland. 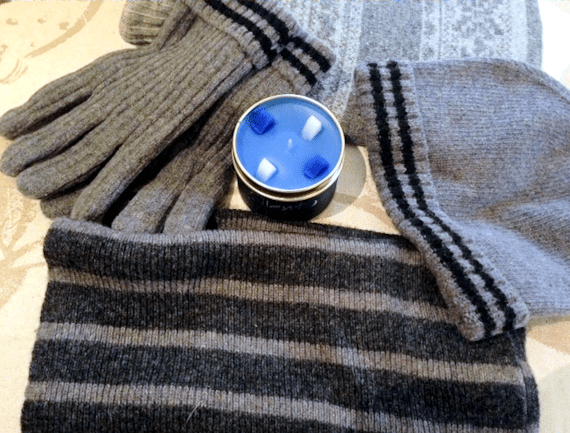 It gets pretty chilly here and standard winter clobber usually involves multiple layers of anything that keeps us warm. The hamper organisers must have known just how much a new set of winter cosies was needed in our home. You know the one. That chef off the TV. The one who did Can’t Cook, Won’t Cook, and had us all glued to our TV screens. If you don’t remember him, you really missed out and it might be a good idea to pop over and see some of his product ranges. He’s also been on Ready Steady Cook, where he spent many years between chef and host. Most of you will probably remember him from Good Morning with Anne and Nick. Having moved to being an author and cracking the US, Ainsley has now launched a new product range of Cup Soups. We’ve been happy to try them out. 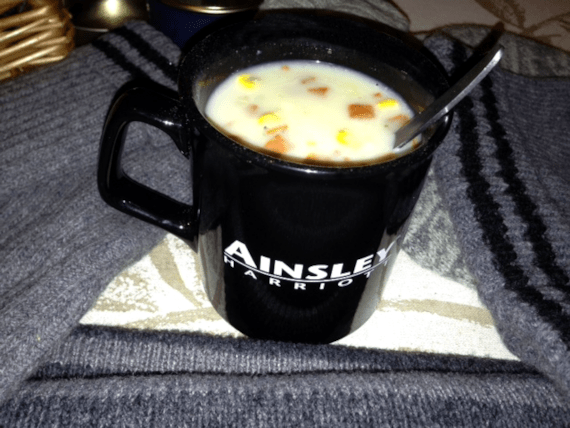 We had the full Ainsley Harriott Cup Soup range to try, with a lovely mug to eat it in, and to add to it, they also sent some goodies to help keep us warm in winter. A lovely hat, scarf, pair of gloves and cosy covered waterbottle with some packs of tissues by Emma Bridgewater filled up the hamper nicely, and finished it off with a gorgeous Lily-Flame Silent Night Sweet Dreams candle which has the kind of earthy but sweet smell that I really like. As a chandler myself, I only like good quality candles and this one fits the bill perfectly. I’d buy that fragrance oil if I knew what it was….. The Cup Soups had to be tried before reporting back. I’d have to say my favourite is the New England Style Vegetable Chowder. Cup Soups that I’ve tried before tend to be watery with some dried up croutons in them, so I am happy to report the lovely consistency of good soup which dissolves well into boiling water. 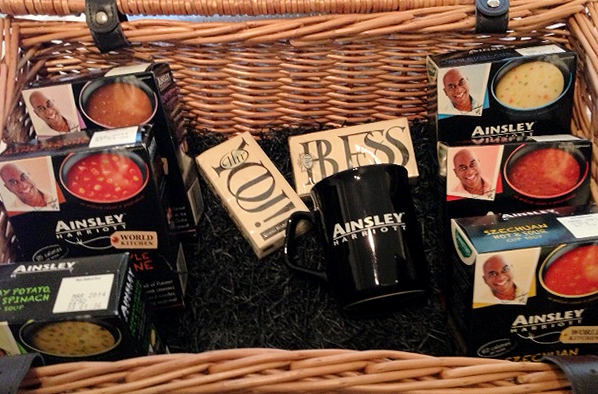 Ainsley has also launched products including cooking sauces, risotto, croutons and unusual rice accompaniments. I really quite fancy trying the Chilli & Lime Flavoured Quinoa & Basmati Rice.